The world is about specialization in life, business and also sports right from an early age. We do things differently, we focus on building universal skills and abilities plus life time passion and motivation to compete in and keep enjoying all sports instead of only one which was selected a long time ago. 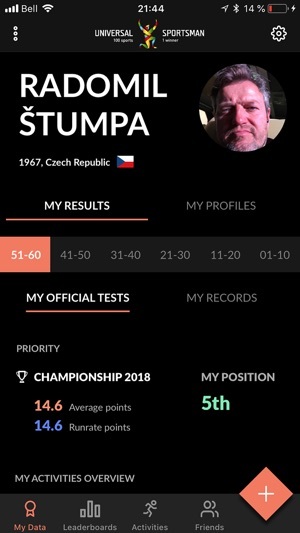 With this App you can compete in any sports you select or even in all of them which is over 145+ sports at the moment. 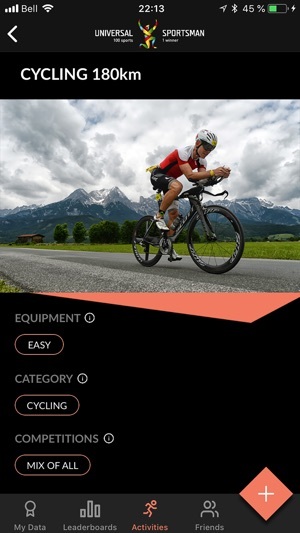 By entering your single sport result you also start competing automatically in over 10 pre-defined COMPETITIONS and over 10 pre-defined CATEGORIES. 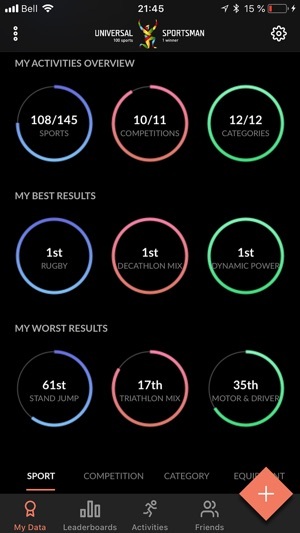 Your participation is by entering your results in every single sport in a given decade and by comparing yourself against others in the world (MY RECORDS format). We also keep entering your best results in case you participate in our face to face format called (OFFICIAL TESTS format). We are looking for sport loving individuals anywhere in the world. Each competitor represents himself/herself but on top of that also represents the main sport which influenced their sports skills in the relevant decade and this allows us to identify the sport which creates the most universal sports skills of all participants. It keeps changing just as your results keep changing over the decades. We allow you to follow your life time results. You also represent your City, your Country, your Continent, your Hemispheres W/E and N/S, your Gender, your Year of Birth and your relevant Decades together with many more groups provided you fill the optional data in your profile for each of your decades. You compare your results with competitors from history, the future and even rivals in a face to face contest. 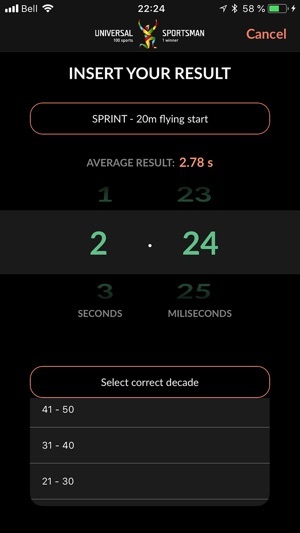 You can also compete against yourself by entering your relevant results for different decades. Start with the present decade and then also add your personal best results known to you from your past decades. We are sure that either you kept your records somewhere or you remember them. You can follow your life time results and also your Friends or your Family provided they accept you to follow them in the App settings. It can be very useful also for your children because you can keep entering their results and follow their improvements throughout their lives. 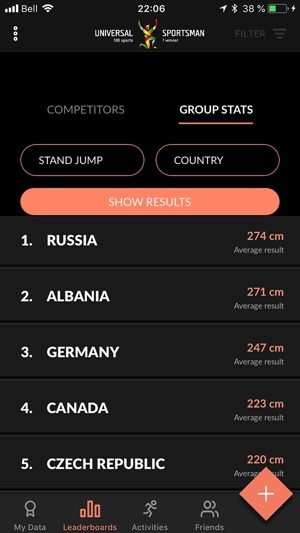 You will be able to monitor how you stand against the others in either a single sport or a selected COMPETITION or any selected CATEGORY of sports. 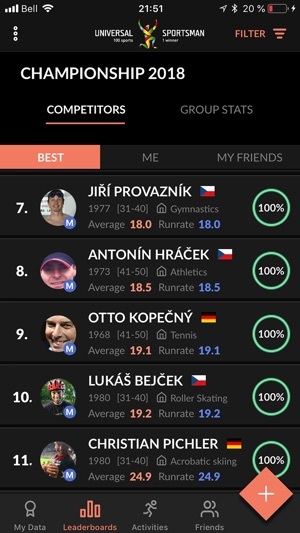 You can FILTER all leaderboards whichever way you want to be able to see your age category, gender or other selected criteria based on the amount of information you provided to us in your user profile data when you register in this Mobile App. The more data You provide, the more data for You to filter and compare including all kind of Groups statistics.